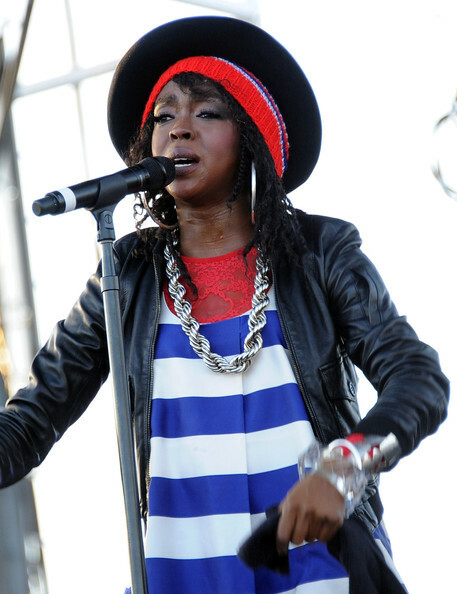 Lauryn Hill performs during Day 1 of the Coachella Valley Music & Arts Festival 2011 held at the Empire Polo Club on April 15, 2011 in Indio, California. *Lauryn Hill, Fantasia and Wyclef Jean will join Cyndi Lauper and John Mellencamp as first-time performers at the 43rd annual New Orleans Jazz and Heritage Festival, which opens Friday at the Fair Grounds Race Course. Along with fresh faces, Davis said some of the festival’s perennial favorites will return to perform on the 12 stages set up around the track. Last year, musicians from the Dominican Republic, Martinique and Senegal performed at the festival. This year, the spotlight is on Haiti, still recovering from a deadly January earthquake. In addition to performances by Jean, a Goodwill Ambassador to his homeland, fans can experience Haitian rhythms from parading Rara bands, Konpa big-band dance music, traditional drumming and popular contemporary bands including Tabou Combo, Ram, Boukman Eksperyans and Emeline Michel. There also will be Haitian master artisans demonstrating their craft in the Haiti Pavilion, as well as food demonstrations and panel discussions on the historical and cultural connections between Haiti and New Orleans.